The Deda Zero range grows with the addition of the Zero 100 handlebar. Also new is the Zero Nero stem. Featuring a natural curve much like the Bontrager VR bar, this should appeal to those not happy with a full anatomic curve yet wanting a little more comfort than a standard curve. 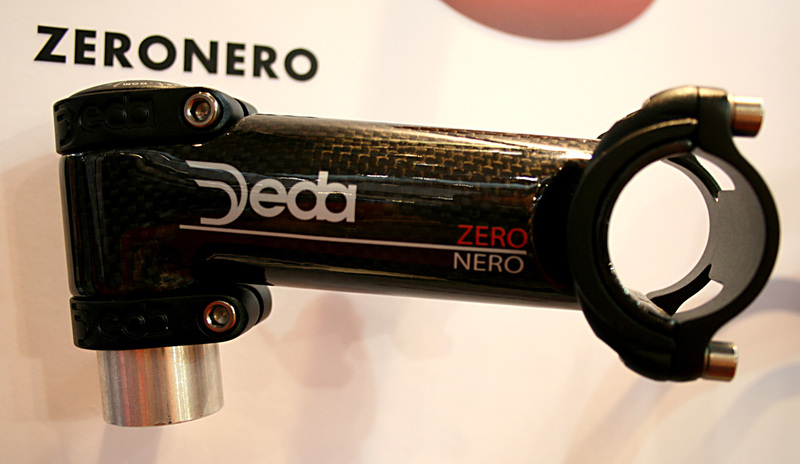 Also new from Deda and already spotted on some top of the range bikes here, the Zero Nero carbon stem. Featuring a top and bottom Allen key closure and an alloy face plate, this looks like it has strength and lightness in all the right places.